Jack Connolly (left) and Duncan Connolly. Michael Connolly, 40, and his sons, Duncan, 9, and Jack, 7, were found Sunday night after police responded to a report of a suspicious vehicle in a remote area in Putman County. Missing since March 8, the deaths are being treated as murders and a suicide, according to the McLean County sheriff’s office. The body’s were found near a Christmas tree farm about 8 miles south of Hennepin, Illinois. Amy Leichtenberg criticized the court system for failing to prevent the crime. Michael Connolly violated orders of protection against him six times and often vowed to kill himself rather than be separated from the boys. At the request of the sheriff’s office in Mclean County, the Illinois emergency alert system is activated for an amber alert. The Mclean County sheriff’s office has a confirmed child abduction that occurred at Leroy Police Department, 111 East Center, Leroy Illinois. Mother, Amy Leichtenberg, that Michael Connolly (the boy’s father) was scheduled to drop the boys off at the LeRoy Police Department on Sunday, but never showed up. Dodge Dynasty file photo (unknown year) possibly similar to gray 1991 Dodge Dynasty associated with abduction. 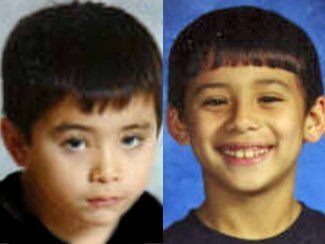 Duncan G Connolly is a male Asian 9 years old, 3 feet 6 inches tall, 66 pounds, with brown hair and brown eyes, with a scar on his upper lip on the left side and a birthmark on his right thumb, wearing a green coat, burgundy hoodie and a black shirt, and black pants with a red stripe. 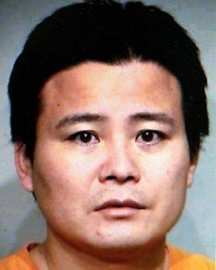 Jack D Connolly is a male Asian 7 years old, 3 feet 4 inches tall, 62 pounds, with brown hair and brown eyes, a scar on his right eyebrow and a surgical scar behind his right ear, wearing a red and blue coat and a blue shirt, and red and blue pants. Suspect is Michael l Connolly, male Asian, 40, 5 feet 8 inches tall, 175 pounds, black hair and brown eyes driving a gray 1991 Dodge Dynasty, Illinois license A326109 (possibly headed to northwest suburban Hoffman Estates). Anyone with information should call 9-1-1 and advise they have an amber alert report.